I got preachy with someone on Twitter yesterday over how disabled people *should* approach the question of employment, and particularly how to handle the flawed programs that are supposed to help us find jobs and get careers off the ground. I didn't mean be patronizing with that particular Twitter user, who was really just trying to express her anxieties about getting into an employment program. I think I was really venting my long-term frustrations about how vocational rehabilitation and other employment programs work and communicate with their customers. Over the years, I have talked with so many disabled people who deal with employment services in unhealthy ways … suffused with fear, anger, timidity, duress, and a sense of failure even before starting. While we all probably have some personal work to do to adjust our attitudes, I mainly blame the service providers, who mean well, but don’t seem to get how complicated employment is for disabled people. There’s so much more to the equation than just job skills and motivation alone. 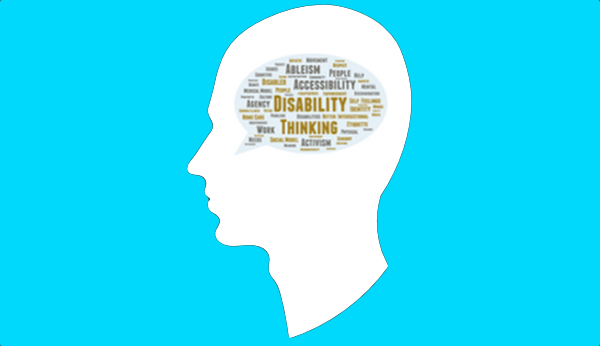 So I figure now might be a good time for another “brain dump,” this time on how I see the massive, perplexing issue of employment and people with disabilities. I’m not a rehabilitation counselor. I’m not an expert on employment. Employment wasn’t even my main area when I worked in Independent Living. But I’ve seen and heard a lot of things, and I believe a big part of the problem is that our efforts to address the huge employment gap for disabled people are incredibly complex, yet we rarely sit down and try to sort it all out. Instead, everyone just forges ahead, assuming that their view of the problem is THE view of the problem. - Make disabled people more employable, which presumes that the main deficits are in the disabled people themselves … poor education, lack of job skills and work experience, underdeveloped social skills, and yes, actual disabilities that make everyday work harder. - Make employers more accommodating and less discriminatory, which presumes that most of the disabled applicants are fine, and are mainly held back by employers’ ableism, their unexamined assumptions about the imagined risk of hiring disabled people. - Change the incentives so as to encourage employment, which presumes that the problem is mainly structural, not personal. Employers might be willing, and disabled people might be ready, but various benefits and support systems unintentionally hold people back because the systems are poorly designed. - Fully qualified to work, with the proper training and credentials, but can't get hired or keep losing jobs. - Under-qualified and lacking workplace skills & habits, often among people who have had disabilities all of their lives and didn’t start being prepared for work until much later in life when expectations finally began to change. - Have certain disabilities that really do make traditional work extremely hard to find and very taxing, even with support and accommodations. This may include people with chronic illnesses, disabilities that can change radically over months and years, and people with mental illnesses that wax and wane. - Available work is not secure or lucrative enough to justify risking loss of benefits and support services, which goes back to the disincentives problem. These disabled people want to work, at least to some extent, but it just doesn’t seem to make sense financially and practically for them to dive fully into full-time work or long-term careers. - On the whole, for any given position, employers would rather hire someone who isn't disabled. - Employers would rather have "low maintenance" workers than deal with workers who might need accommodations, or for sure will need accommodations. Aside from being unjust and illegal under Title I of the Americans with Disabilities Act, the problem with both of these factors is that the negatives are generally very exaggerated. Objective evidence suggests that in general, disabled people are good workers who are less hard to work with than most employers imagine them to be. Not for nothing, but non-disabled workers have a host of other problems that give employers headaches … problems like absenteeism, poor work habits, and garden-variety toxic personalities. In comparison, disability is often less of a problem for employers than other problems that aren't related to disability. - Many disabled people presumed to be unable to work actually can. - Many disabled people make rational decisions not to work, or to work less. - Disability alone rarely is the only factor determining whether a person can work. Some unemployed disabled people also have poor education, the wrong job skills for the market, and chaotic personal lives that make it hard to be reliable, much less top-notch employees employers really want to hire. Make it easier to pursue employment without shaming or punishing those who don't work. Don’t manipulate benefits and support systems to try and force more disabled people into work, reform them to make it an easier, clearer choice. Stop assuming certain disabilities make it impossible to work, or that other disabilities are no impediment to working. Step back from old formulations about certain disabled people being ready for work, and others not, just by virtue of what kind of disabilities they have or how “severe” they are perceived to be. It’s entirely possible that your average quadriplegic is more ready for work than a person with chronic pain. We should expand the definition of what we call "work," and of what kind of work can earn a disabled person money. If a bunch of currently unemployed disabled people were able to work part time while still collecting all of their benefits, the situation overall would be much better for everyone. Everyone needs to acknowledge that different people have different problems. Some are mainly held back by discrimination, while others really aren't qualified, yet. No one formulas explains why any given disabled person isn’t working at the moment, which is also another reason we shouldn’t judge them, or for that matter not judge them for not working. Some of us do need to do work on ourselves, but not everyone. And sometimes the perfect applicant still won't be hired because of discriminatory perceptions. Some people need job training. Some need to work on their people skills. Some need help outwitting, circumventing, and confronting discrimination. 1. The person I got preachy with on Twitter yesterday said that disabled people in our society are judged based on whether or not they work. She's right. There really is a philosophical problem with how we deal with disability and the moral dimensions of work, productivity, and worth. This is not only morally wrong, but I also don't think banging on about the work ethic and shaming people for needing benefits helps disabled people find work one iota. Comparing the employment data in the infographic above to a similar report from last September, it does look like more disabled people are getting into the job market … some actually getting jobs, others actively and intentionally looking for them. That’s good news. I guess I’m part of the trend. After a year and a few months without paid work, I got a part-time job tutoring students in writing at a local community college. Right now it’s the perfect job for me, given my health and the state of my disability. You could say I am “under-employed”, but I am participating in the labor market and satisfied with my current situation. Of course the big picture is that by every measure, employment for disabled people has been extremely very low for decades … probably for as long as anyone has bothered to collect statistics. What could possibly change those numbers dramatically? What could we do to bring “employment” and “labor-market participation” for people with disabilities up to, say, 50% or higher? I used to think that the gold standard for disability employment was the traditional, 9-5, full-time job, in an office. I thought anything less, or anything less traditional, was a defeat or a cop-out. I still feel that way about sheltered workshops, “enclaves” (where all-disabled work crews go somewhere to do a job, basically in isolation), and businesses set up specifically to employ disabled people. In some cases, it feels like an important principle to stick to. In others, well, maybe it’s just a prejudice for me. The thing is, I’m starting to think that the key to really moving the needle on employment for disabled people is to be open to a wider variety of work models. Part-time. Flexible schedules. Consulting. Working from home. Freelancing. Jobs crafted to fit a particular person’s abilities and talents. Seasonal employment. These kinds of models, coupled with firmer income support programs to fill in the gaps and self-adjust with the ups and downs of erratic employment, could make a real difference. Which is not to say that anyone should assume that any of us has to work in some non-traditional setup, just because we have a disability. Plenty of us, maybe most of us, are fully capable of doing traditional full-time jobs The viability of “lesser” options should never be an excuse for relegating any of us to them if we want more. Also, non-traditional models need good policy development and vigilance, to make sure they don’t end up being exploitive. It’s been a long time since I talked at length with a Vocational Rehabilitation Counselor. I wonder what they are thinking these days? 1. It caps eligibility by age. Only people who have acquired their disability before age 27 would be eligible. There has been no logical explanation for this arbitrary number and the Disability Community does not accept leaving anyone with a disability behind. Specific oral medication that many dialysis patients with End Stage Renal Disease (ESRD) take would not be covered by Medicaid until 2024. People will die because of this. Vacuum Erection Systems (VES) would no longer be covered by Medicare. This seems trivial, but it is assistive devices such as this that allow some people with disabilities the opportunity to have a family – the same right able-bodied people enjoy. As I have written about recently, I am upset by the last-minute changes to the bill … both for their practical consequences, and because I think it signals a failure of cross-disability collaboration. That said, I can’t quite bring myself to ask Senators to vote no at this point. If I thought there was a real chance to revisit the changes and fix the bill, I would urge them to vote it down, but especially with two-house Republican majorities on the way I don’t see that happening. I do hope that Senators who have supported this bill will take a good look at the limitations, and realize that they really are more than just the usual compromise all bills go through before they are passed. The age limitation, especially, fundamentally changes the bill, by cutting out entire portions of the disabled population. I think I would rather have seen the ABLE Act account limits reduced … either to a bit less than $14,000 per year, or to a lower total account limit than $100,000 per person. So, go ahead and pass the ABLE Act. See how the model works. Make the case for expanding it to the whole disability community. Build on it, or adjust as needed to make it better. But let’s not let Congress and the media celebrate this “rare example of bipartisanship” without acknowledging how it got done. And, next time a bill like this comes up, let’s all make it clear that we won’t accept “divide and conquer” anymore, or be talked into throwing disabled people a bit different form us under the bus. If you want to contact your Senators anyway, click here to get started. Maddy Ruvolo and Emily Ladau discuss what it’s really like for young disabled people to be looking for work right now. They are joined by Maria Town, of the Youth Policy Team at the Office of Disability Employment Policy and the CP Shoes blog and Twitter feed. Maddy, Emily, and Maria are realistic about the dire employment rates and barriers to improvement, without being too depressing. Best of all, they go way beyond the usual bullet points and problematic clichés about disability and employment … employers just need to “look past” our disabilities … they should hire us because we’ll be more loyal than non-disabled workers … we’re all totally ready to work and we never have any problems as long as we’re given a chance. They talk about transportation barriers, how important those “first jobs” are for teens with disabilities, and the fact that sometimes, our disabilities really do interfere with our ability to work to full our full capacity. This podcast is well worth a listen. I can’t wait to hear their next episode!